If you were a star in the 1980's then it was guaranteed there was a lunch box with your picture on it. 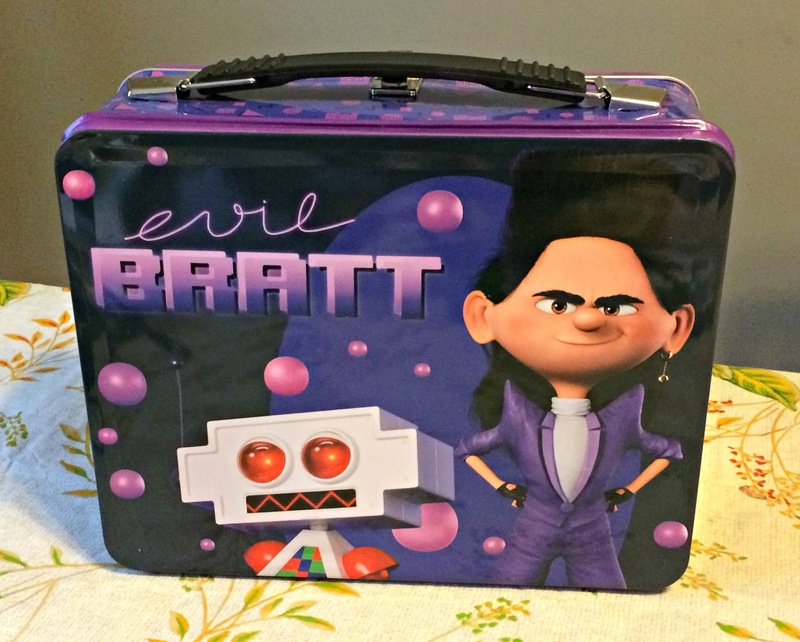 Metal lunch boxes for children featuring popular characters from cartoons, movies, and television shows were a sign of the times. I have fond memories of the tin Empire Strikes Back lunch box that I took to school during my elementary school years. Illumination Entertainment, the animation film production company behind Despicable Me, Minions, and Secret Life of Pets, recently sent A Geek Daddy one of these retro style lunch boxes featuring Balthazar Bratt to tease the upcoming release of Despicable Me 3 which will be arriving at theaters across the United States next summer on June 30, 2017.
Who is Balthazar Bratt? He's a former child actor who was an international sensation during the 1980's for his role in the top-rated TV show Evil Bratt (1985 - 1987). Bratt received numerous accolades from the role including back-to-back Kids' Pick Awards for Heart-Throb-biest Leading Actor and a top spot on the Forbes 12-Under-12 List. At the height of his popularity though, disaster struck! Balthazar hit puberty in the middle of the show's third season and overnight he was no longer the cute, fresh-faced kid who had charmed TV audiences as his voice cracked while delivering lines and acne began covering his face. His show was cancelled before the final episode of the season could even air and Balthazar Bratt never resurfaced publicly. 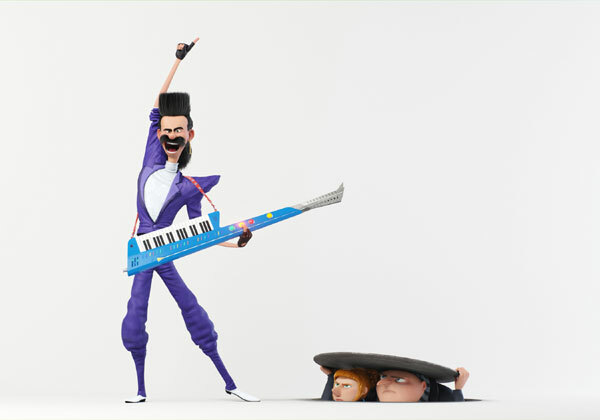 It appears from the hint sent by Illumination Entertainment in the form of the mysterious Evil Bratt lunch box that arrived at my house along with a profile page printed out from the online information source Despikipedia that Balthazar is planning a comeback with a vengeance as Gru's adversary in Despicable Me 3. What dastardly plans does Balthazar Bratt have in store for the world? Will the Minions save the day? You'll have to find out by going to see the movie when it comes out!